Charlene is owner and director of Powerhouse Therapy. Charlene graduated from Indiana University in 1984 and has over 25 years experience working with both children and adults. She has completed CI therapy training in Birmingham Alabama with Dr. Edward Taub and his team. Other specialized training includes Therapeutic Electrical Stimulation, Splinting/Casting, Feeding and Oral Motor Therapy, Therapeutic Listening, Sensory Processing, Orthopedics, and Neuromotor disorders. Charlene has worked in a variety of pediatric settings including inpatient and outpatient hospital, private clinics, home health, and school systems. 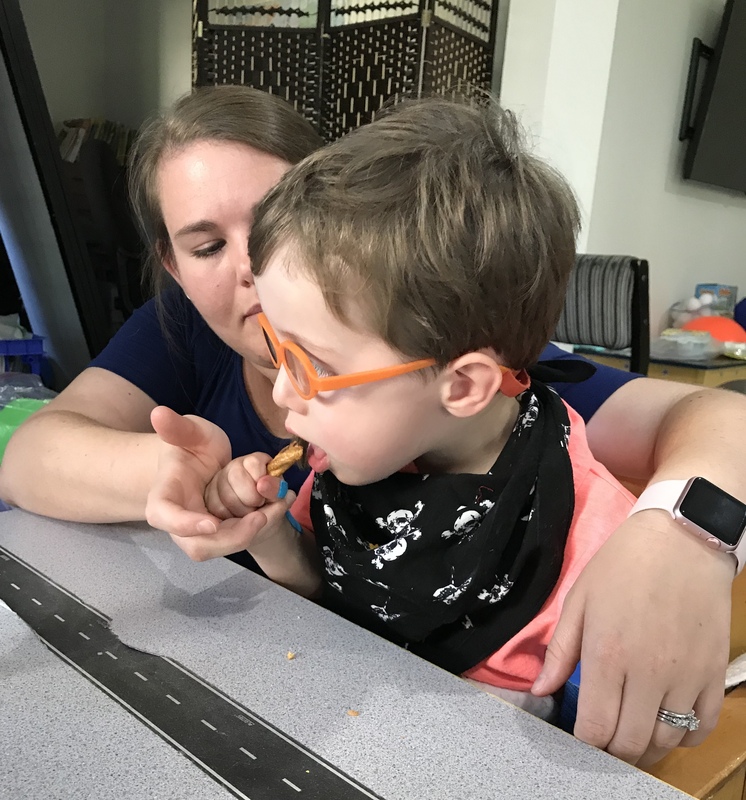 She is owner of Happy Hungry Hippos feeding clinic in Roswell, Ga., offering specialized treatment for children with oral motor and feeding delays. Charlene enjoys yoga, traveling, and spending time with her family and friends. Disha Mudulodu is the assistant director of Powerhouse Therapy. Disha earned her Masters of Occupational Therapy from University of Tennessee in Memphis in 2010. 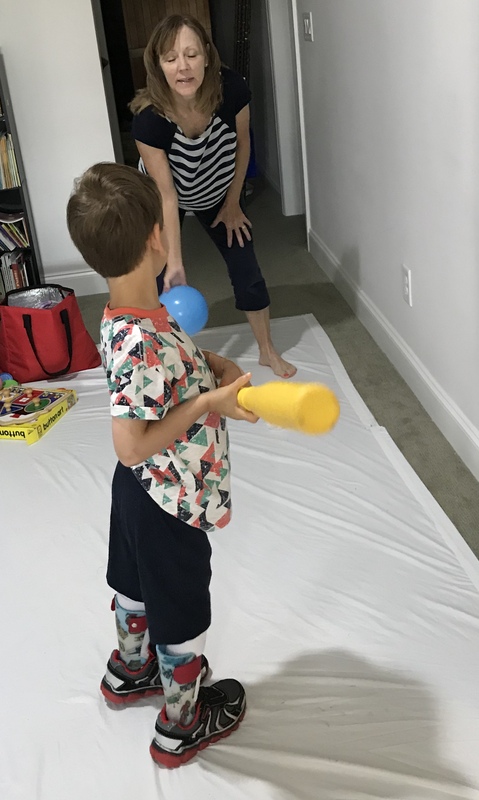 She has over 9 years of experience in pediatric occupational therapy in a variety of settings including, inpatient rehab, outpatient rehab clinics and public schools. 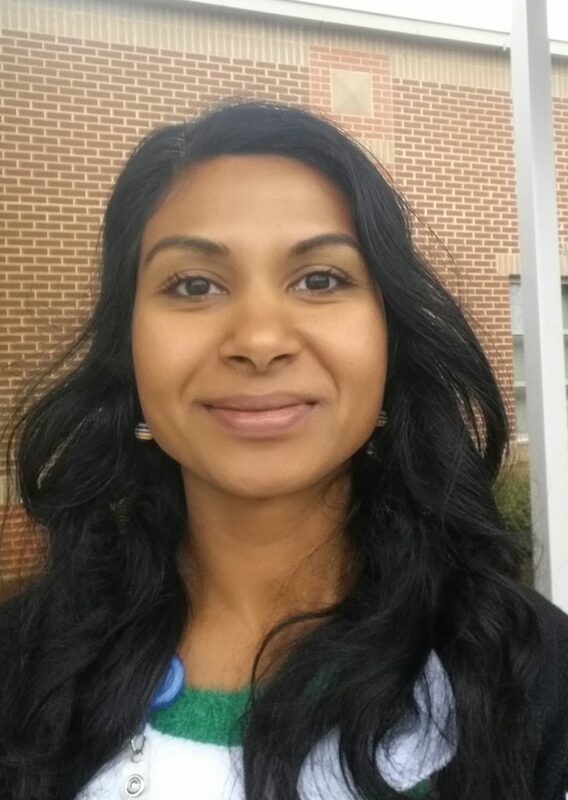 Disha has been part of the Powerhouse therapy team for 3 years and this year she completed CI therapy training in Birmingham, AL with Dr. Edward Taub and his team. 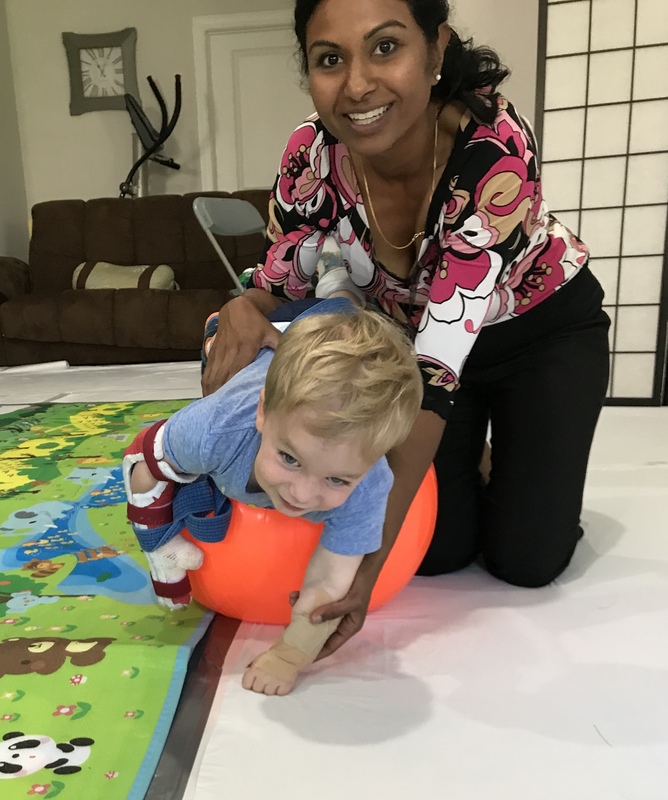 She has experience working with children with several neuromotor disorders, cerebral palsy, Autism, Down syndrome, ADHD, anxiety, fine motor delays etc.. Disha is trained in modalities, casting, sensory processing interventions, manual muscle manipulation, and aqua therapy. Disha is passionate about her role in this program and enjoys building relationships with her clients and families. She believes in partnering with families in a family centered approach to achieve child’s goals and reach their full potential. 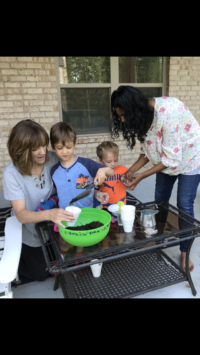 Disha enjoys being a mom to her 2 kids, playing tennis and illustrating. 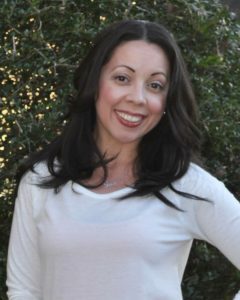 Angie graduated from Florida International University and has over fifteen years of experience working as an occupational therapist. She has worked in a variety of settings including acute care, inpatient rehabilitation, outpatient and home care. 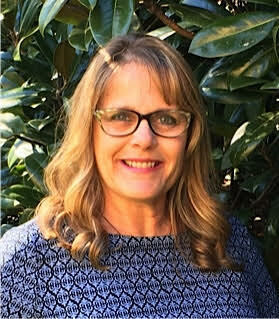 Angie is currently working for Comprehensive Therapy Associates where she provides therapy for Forsyth County Schools and evaluates/treats pre-K through high school students with developmental delays, autism ADHD, CP and a variety of other special needs. 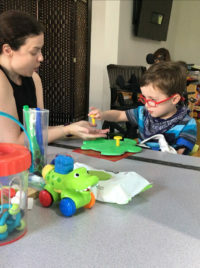 Angie has received specialized training in CIMT for both adults and children and began working for Powerhouse Therapy in 2018. Other specialized training include NDT, kineseotaping and low vision training. Angie loves being an OT as she feels it allows her the opportunity to guide and support clients in regaining independence and participation in their valued activities. Rachel lived and worked with people of all ages with various special needs after earning her undergraduate degree in 2000—including special education schools in Belize and Washington D.C., a therapeutic farm for adults with mental illness, a group home for adults with disabilities, and a day program for seniors—before she ever heard of occupational therapy. She went on to earn a Masters of Occupational Therapy degree in 2011 from Xavier University in Cincinnati, Ohio. Rachel currently works as a school-based occupational therapist for Cobb County Schools as well as at an outpatient pediatric clinic. 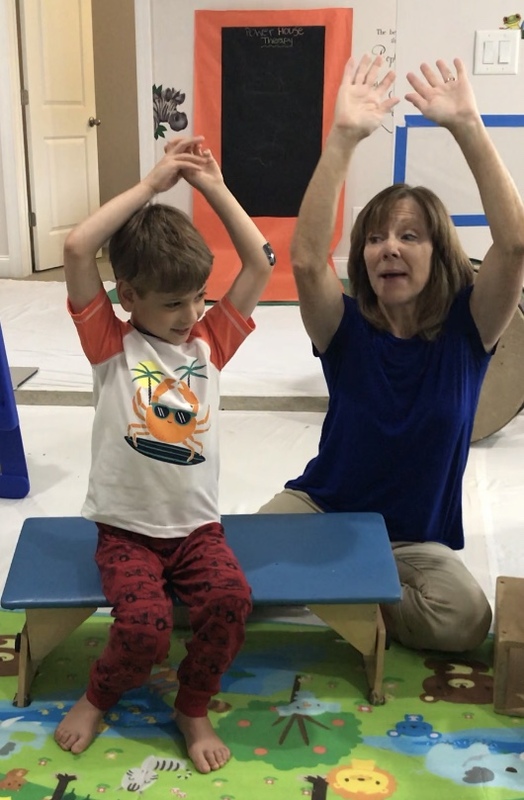 She is a life-long learner and has additional professional training in the areas of emotional regulation, mindfulness-based tools, sensory processing disorder, fine motor skills, handwriting skills, hippotherapy, aquatic therapy, Therapeutic Listening, and reflex integration. 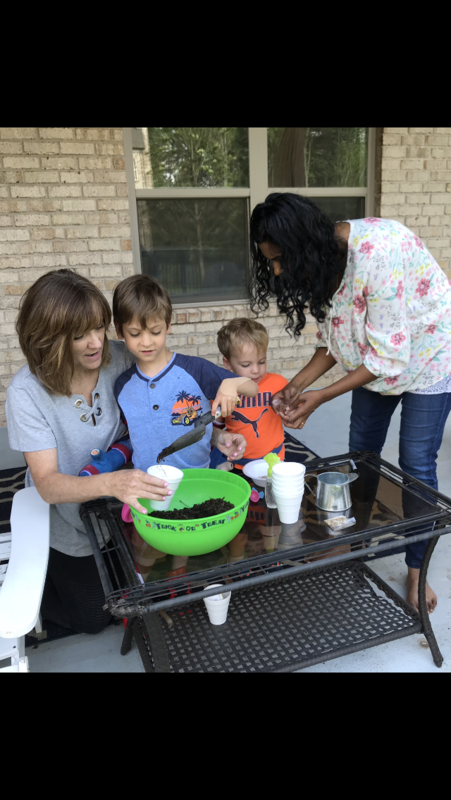 She believes being fully present and forming connections with clients and caregivers is an integral part of the therapeutic process and are required to assist clients in their growth toward greater independence and well-being. 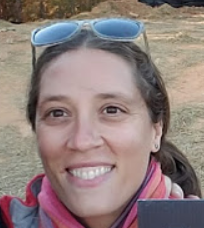 Rachel enjoys being outside, gardening, hiking, playing soccer, snuggling with her dogs, and traveling with her husband. Amy has been a pediatric occupational therapist for 15 years. She graduated from Ithaca College with a BS/MS in occupational therapy in 2001/2002. Amy worked in public schools and a private sensory integration clinic in Fairfield County, Connecticut before moving to Georgia in 2004. She has worked in several pediatric settings in the Atlanta area including: home based early intervention, private school, gymnastics-based OT, and private clinics. 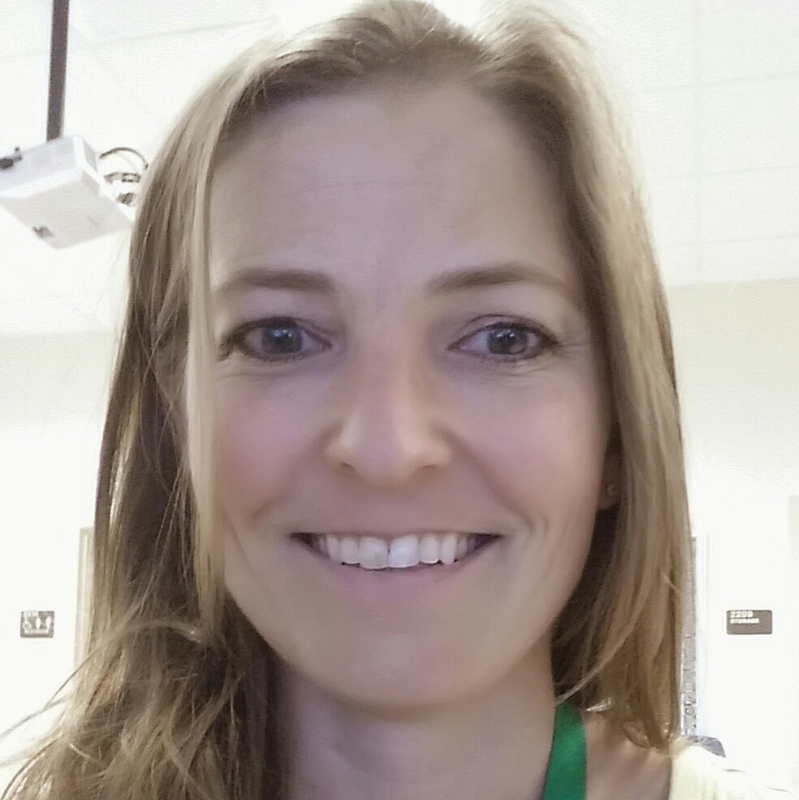 Amy currently works in Forsyth County Schools doing preschool evaluation and treatment. She has also worked for Children’s Healthcare of Atlanta in the outpatient rehabilitation department for 14 years. Amy has completed continuing education classes in the areas of autism, cerebral palsy, executive functioning, cardiopulmonary and postural control, and therapeutic listening. Amy is also SIPT certified through USC/WPS. Amy enjoys spending time with her daughter and husband, travelling to the beaches of South Walton, and reading. Jodi graduated from The Ohio State University School of Allied Medical Professions in 1987 and has extensive experience working with children and adults. 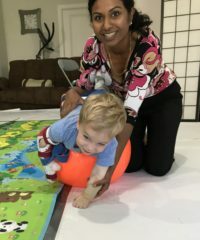 She has practiced Occupational Therapy in multiple states including California, Florida, Ohio, Indiana, and Georgia. 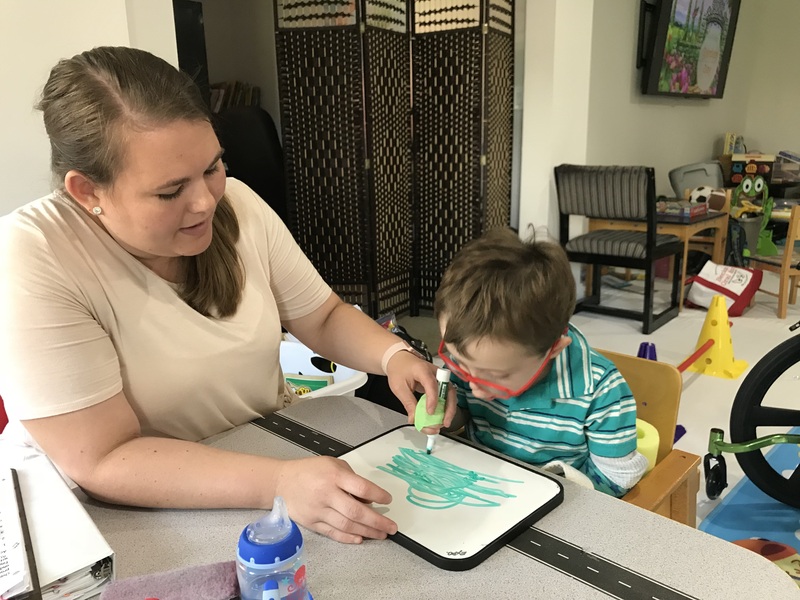 She has worked in a variety of settings including psychiatric facilities, developmental centers, acute and long term rehabilitation, and school systems. 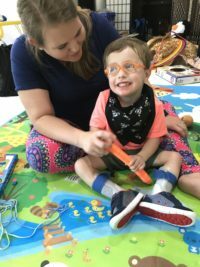 She has worked for Comprehensive Therapy Consultants for 12 years where she provides therapy in Forsyth County Schools and evaluates and treats preK –high school students with developmental delays, autism, ADHD, cerebral palsy and a variety of other special needs. 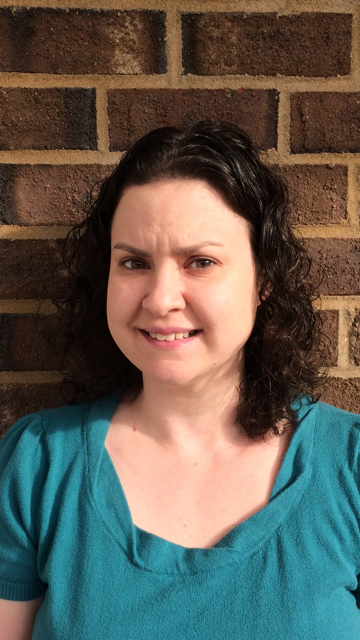 Jodi has received specialized training in CIMT and began working for Powerhouse Therapy in 2017. She enjoys spending time with her family and friends, playing tennis, and reading. Rebecca has been a pediatric occupational therapist for 15 years, graduating in 2001 from Brenau University with a MS in Occupational Therapy. She has received specialized training in CIMT, sensory processing, Autism, fine motor skills and handwriting development, pilates, and yoga. Prior to moving to Atlanta, Rebecca worked with early intervention, preschoolers and in the school system in New York City. 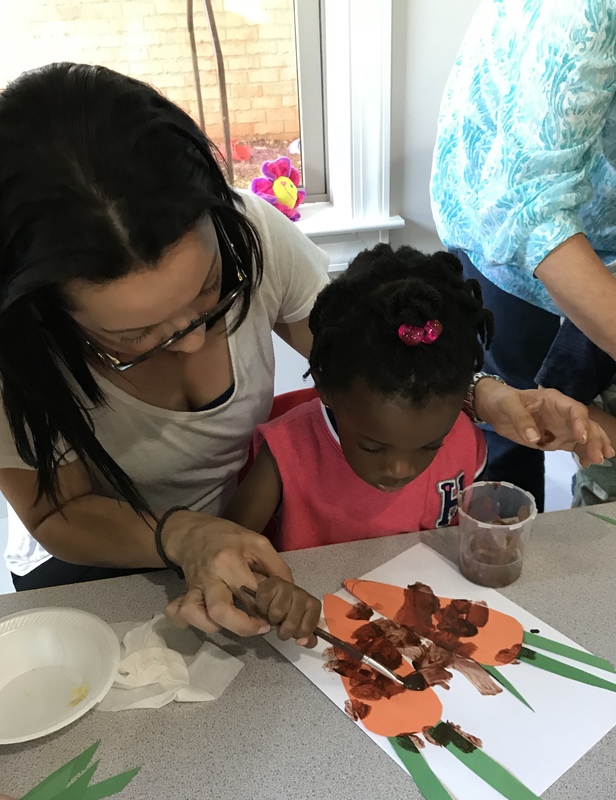 Since moving to Atlanta, she now works in a pediatric outpatient clinic, as well as serving children in the Forsyth county school system. Rebecca enjoys travel, watching her son play soccer, and spending time with her family.